The SPS Progress Monitoring Goal Setting APP is the number one choice for calculating Progress Monitoring Goals. 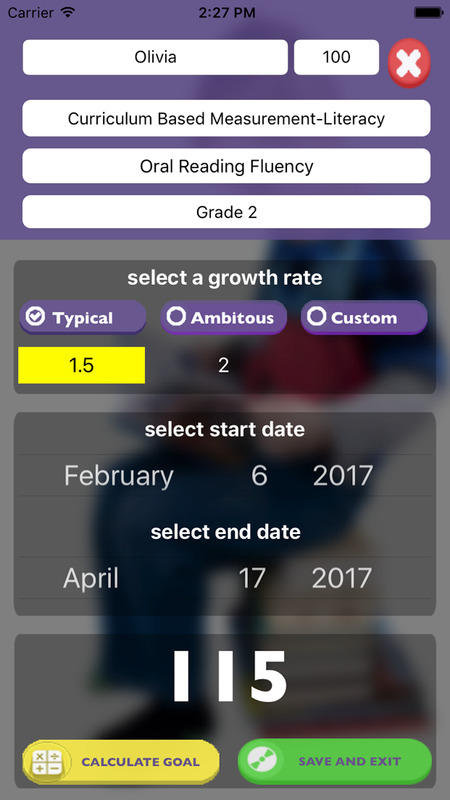 The App provides practitioners with a quick and easy method for developing research-based goals when progress monitoring with commercially available General Outcome Indicators (i.e., DIBELS Next, DIBELS Math, CBM, and FAST). Automatic calculation of goal (just enter in weeks and select a growth rate). Here is how easy it is to use:. That’s all! 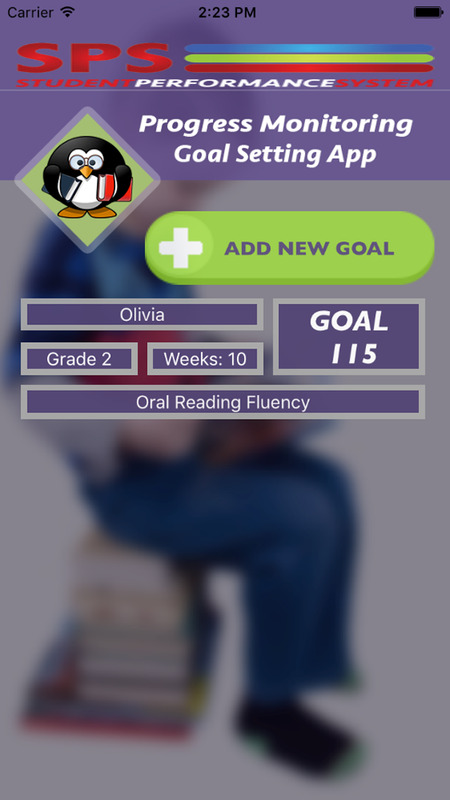 Now “save and exit” and immediately you will see the student's goal on the main page with number of weeks and test name. You can change the goal simply by pressing on the student and changing any of the values and recalculating the goal. © 2017 Gordian Innovation.. All Rights Reserved.